Wipro Infrastructure Engineering (WIN), the business arm of Wipro Enterprises Pvt. 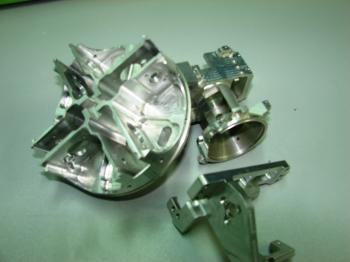 Ltd, has signed a definitive agreement to buy Israel-based supplier of metallic parts and assemblies to the aerospace industry, H.R. Givon Ltd, in an all-cash deal as part of its plan to widen its product offerings. The company, however, did not disclose the deal amount. Wipro Enterprises is Azim Premji-led Wipro group's unlisted entity that houses its non-IT businesses. The deal is likely to be closed by September 2016, subject to regulatory approvals and customary closing conditions. H.R. Givon counts leading global original equipment manufacturers among its customers and has three manufacturing plants---two in Israel and one at Everett, Washington, Wipro said in a statement on Monday. "This acquisition will help WIN broaden its product portfolio, expand global footprint and strengthen its ability to forge deeper customer relationships in the aviation and aerospace industry," said the release. WIN employs 1,700 people and has 13 manufacturing facilities. The company plans to expand this into multiple product lines in aerospace industry and enter into technology partnerships with leading aerospace companies. Chief executive of WIN, Pratik Kumar, said Wipro and Givon together will be "a significant force in key markets." "The synergies from combined portfolio and locational proximity will be a key enabler to build and nurture successful customer relationship," he added. Chief executive of Givon, Ronen Givon, said the deal gives an opportunity to bring to the market an expanded range of offerings.